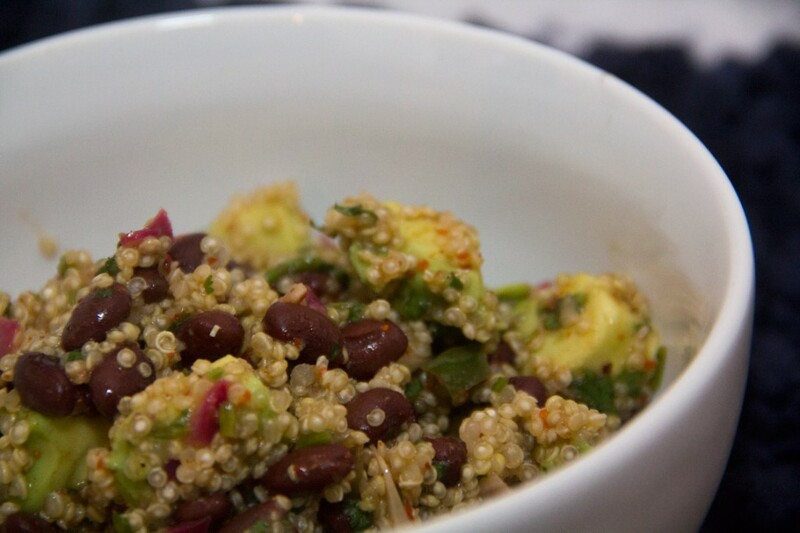 Quinoa (pronounced: KEEN-wah) is like a distant relative of rice and belongs to that family of grains. 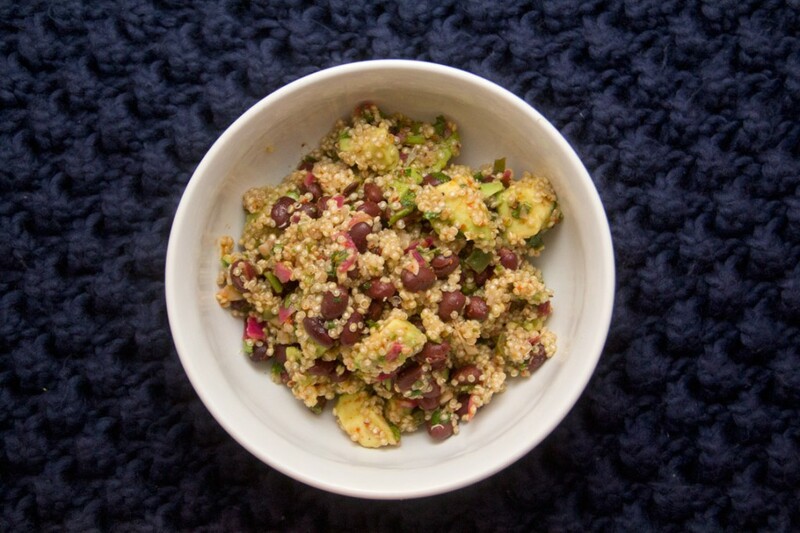 When you mix it with delicious foods like beans, avocado, and some onions it takes on a light and savory flavor. Follow package instructions to cook Quinoa. Drain & Rinse the Black Beans. Saute Jalapeño, Garlic, & Red Onion in a Cast Iron Skillet . 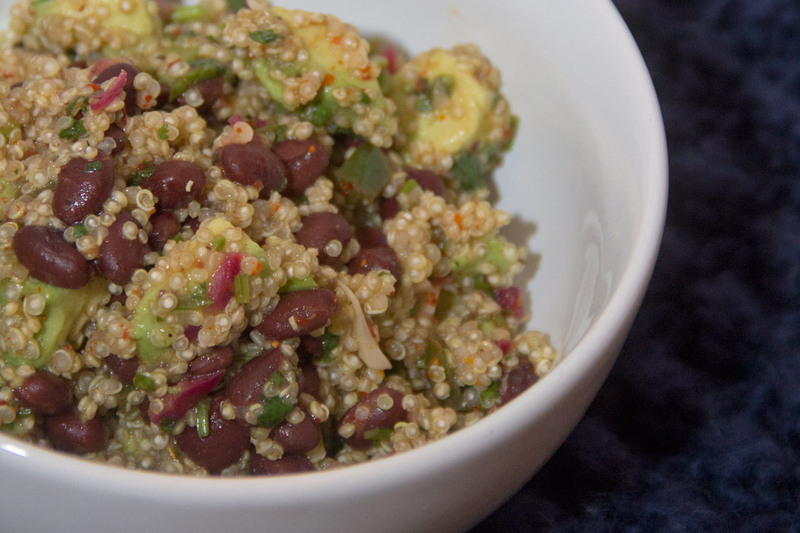 After the Quinoa is cooked; Beans are rinsed; and Pepper, Onion, Garlic is sautéed; stir everything together and add the lime juice and cilantro to flavor. You can eat this as a whole meal or serve it as a side dish. Thanks for visiting Bachelor Cooking!